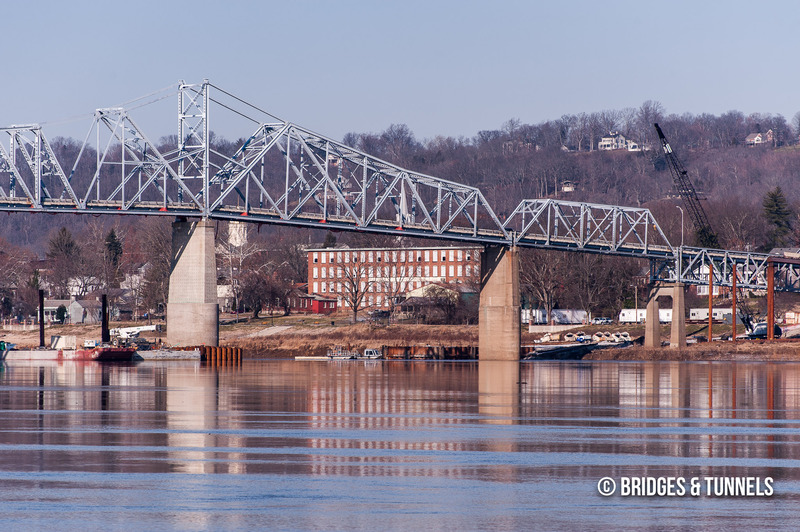 The Milton-Madison Bridge is a continuous truss bridge that carries US 421 over the Ohio River between Milton, Kentucky and Madison, Indiana. 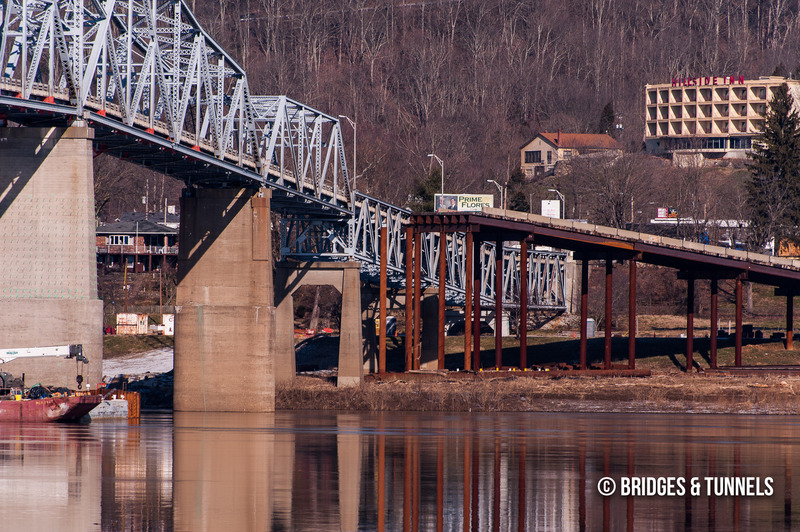 The original Milton-Madison Bridge was designed by the J.G. White Engineering Corporation through the National Toll Bridge Company. 8 It was constructed by the Mt. Vernon Bridge Company of Mt. Vernon, Ohio between 1928 and 1929. The two-lane crossing consisted of cantilevered Baltimore and Pratt through trusses and Pratt deck trusses measuring 600-feet, 600-feet, 727.3-feet, 254-feet and 150-feet. It was completed at a cost of $1,365,101.84 and opened to traffic on December 20. In April 2009, the bridge’s weight limit was lowered to 15 tons when the sufficiency rating was just 6.5 out of 100. 8 It was estimated that the crossing had just ten serviceable years of life remaining. A Milton-Madison Bridge study was initiated by the Indiana Department of Transportation (INDOT) and the KYTC on August 26, 2008. 1 The study had to take into account the adjoining Madison Historic District, a National Historic Landmark, and the National Environmental Policy Act. 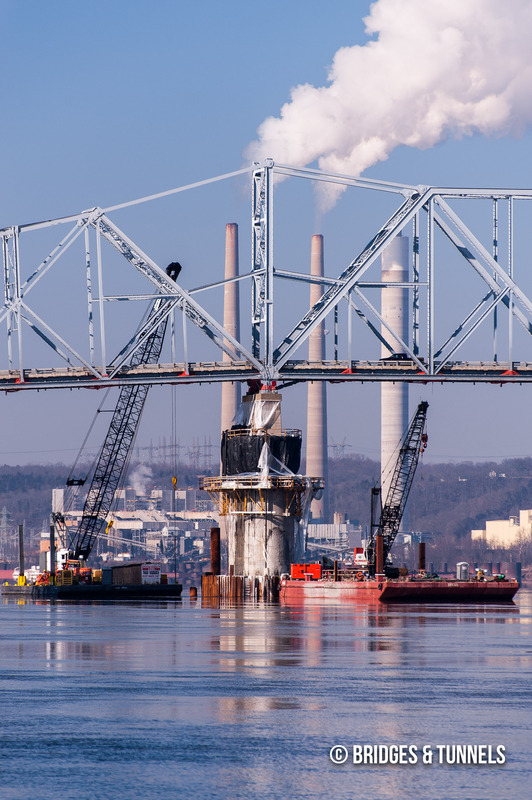 Twenty alternatives were studied for the project, and eight were eliminated because they did not meet the purpose and need of the Milton-Madison Bridge project. 8 Seven others were eliminated because they would have had major impacts or face excessive challenges. Superstructure replacement with minimal approaches, similar to the existing crossing. Superstructure replacement with longer approaches. Two alignments at Tiber Creek. Sweeping alignment along Canip Creek. Eighteen bridge design concepts were studied, including six arches, one truss-arch, five trusses and six cable-stayed suspensions. 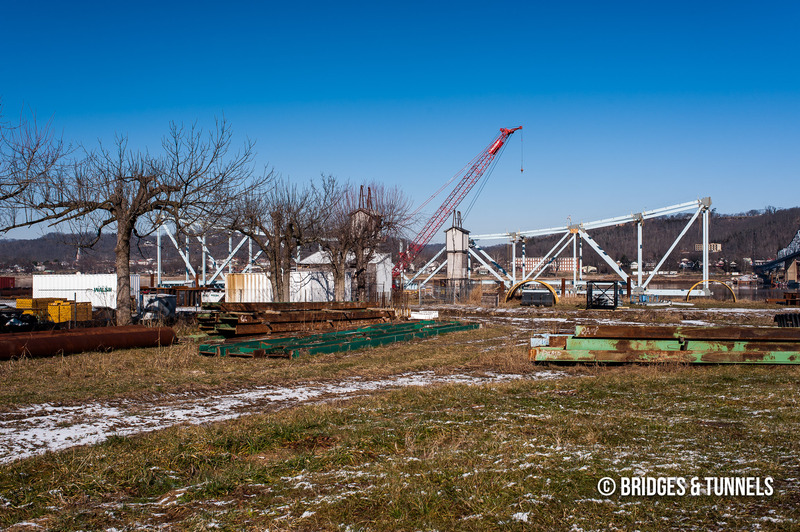 8 In polling conducted, a four-span truss bridge, similar to the existing bridge, was favored the most. It was determined that a superstructure replacement could be completed and that its cost would be much less than the other proposals. 8 Because no major right-of-way needed to be acquired and construction could be simplified, the project could be built for $50 million less than if another alignment was chosen. It also shaved four to six years off of the planning and construction timeline. It was determined that the superstructure would be replaced with a continuous truss with minimal approaches. 8 The new bridge would contain two 12-foot driving lanes, two eight-foot shoulders and a 5-foot sidewalk. 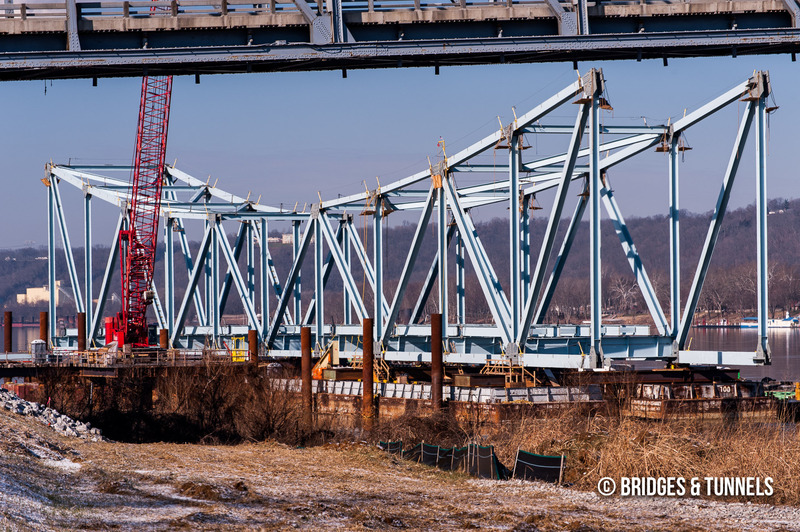 The new truss superstructure was designed to mimic the historic truss profile with sections measuring The new bridge featured trusses of 600-feet, 600-feet, 727.3-feet and 500-feet. The timeline of the bridge project was accelerated so that the project could be eligible for TIGER funding by the federal government. 8 The NEPA process was completed within 21 months, with field work, alternative selection and final documents finished within five months. Review periods and permitting was expedited under the SEction 6002 agency coordination process under SAFETEA-LU. A design-build contract was used to meet the construction timeline. It was determined that piers six, seven and eight were in good condition and that they could be encased and strengthened. 8 Pier five was found to have high chloride levels with exposed rebar and section loss and could be removed. The design-build contract was let on September 22, 2010. 8 Five contractors submitted bids ranging from $102 million to $127 million. 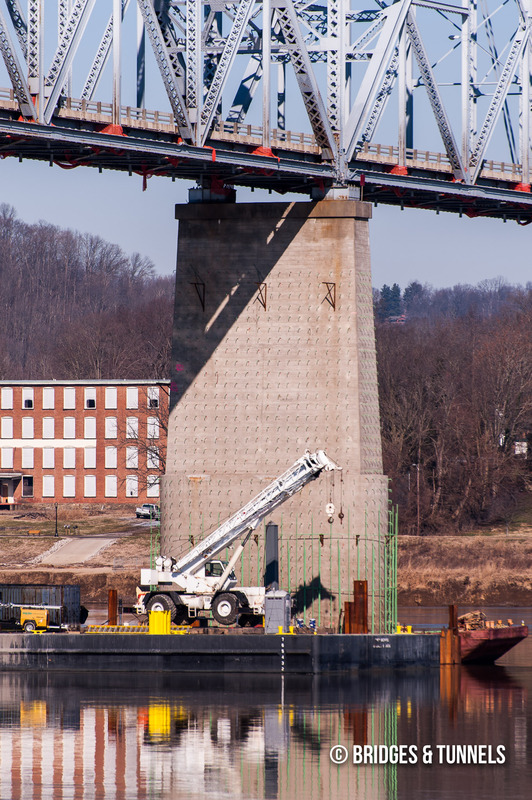 Walsh Construction Company, who had submitted a bid of $103.7 million with a ten day closure of the bridge, was selected. Engineering and design would be headed by Burgess & Niple and Buckland & Taylor. January 2012: Temporary ramp on the Kentucky approach. January 2012: Temporary ramp on the Indiana approach. January 2012: Piers being strengthened and widened. 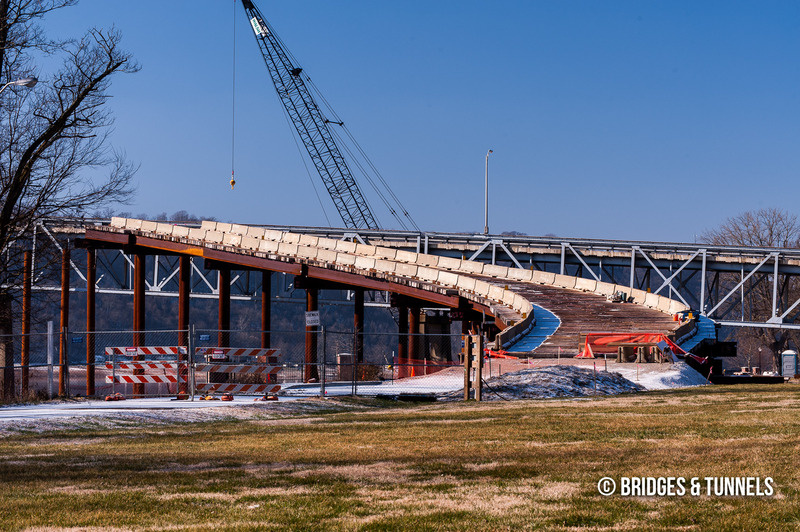 January 2012: New bridge being built off-site. 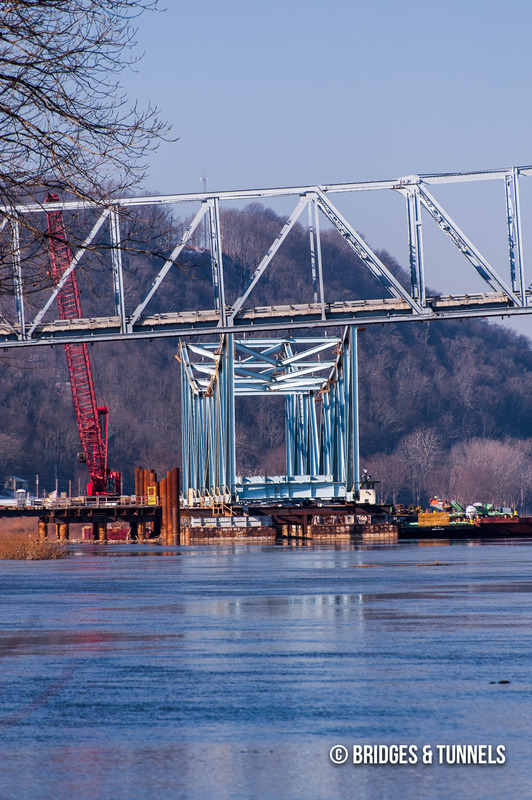 On July 23, 2013 at 9 a.m., the circa 1929 Milton-Madison Bridge was imploded. 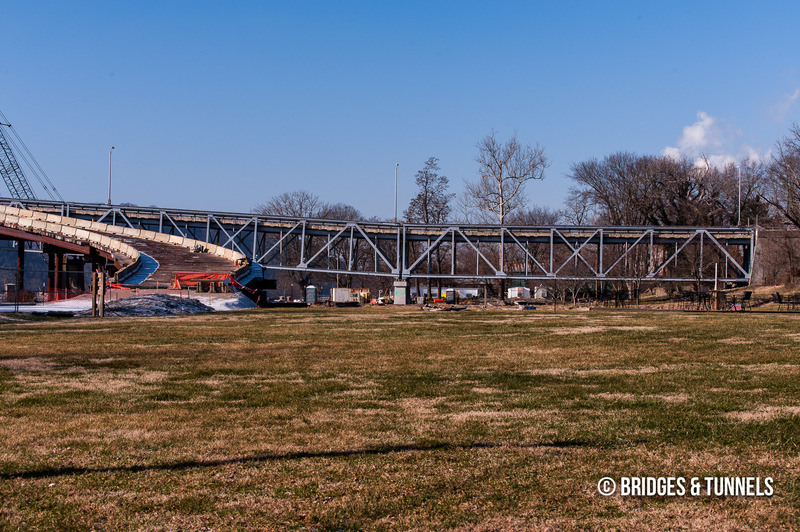 Construction on the new Milton-Madison Bridge was completed on November 9, 2015. 10 Painting was finished the week prior. 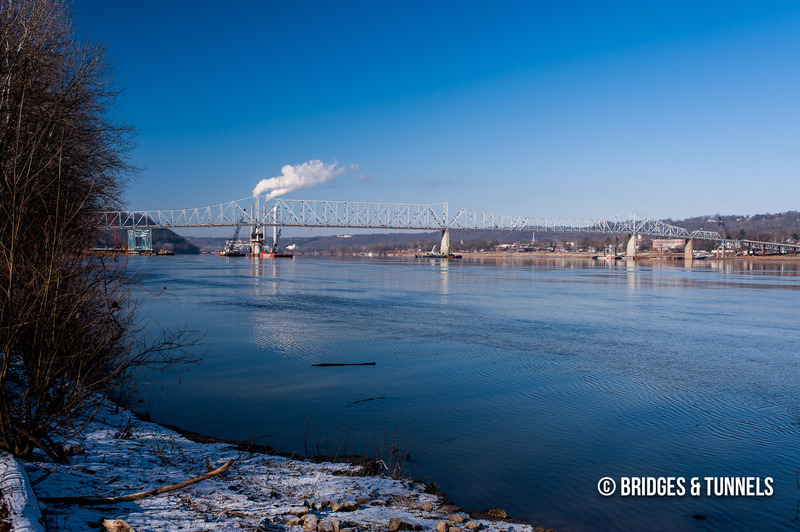 “Kentucky officials announce kickoff of bridge study”. Kentuckiana Publishing, Sept. 2008. Baughn, James. “Madison-Milton Bridge”. Historic Bridges of the United States, 2009. 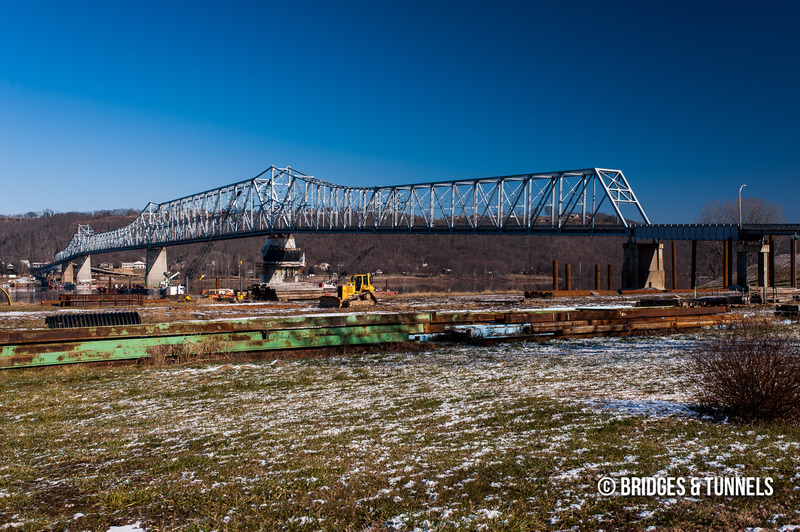 “The Story of the Splendid Milton–Madison Bridge”. nkyviews.com. Weidenbener, Lesley. 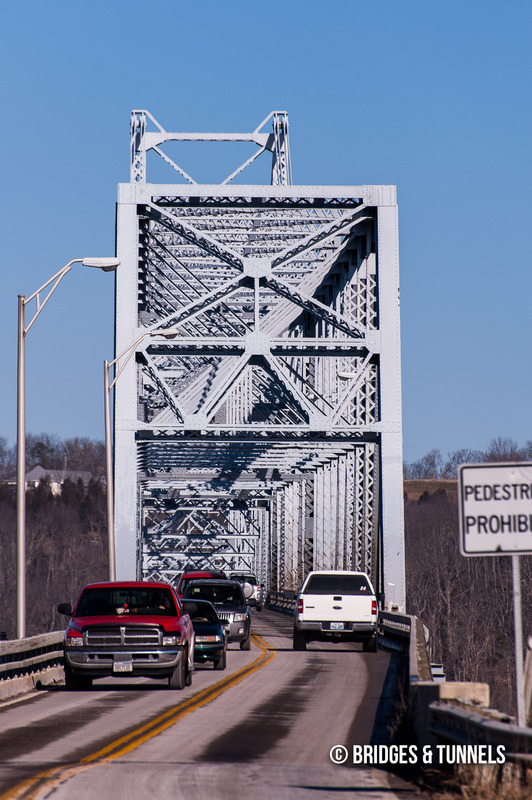 “Indiana panel may focus on Ohio River bridges”. Courier-Journal [Louisville], 30 Jan. 2009. Griffith, Ryan. “INDOT Design/Build.” Received by All Prequalifed Contractors, 30 June 2010. Memo. 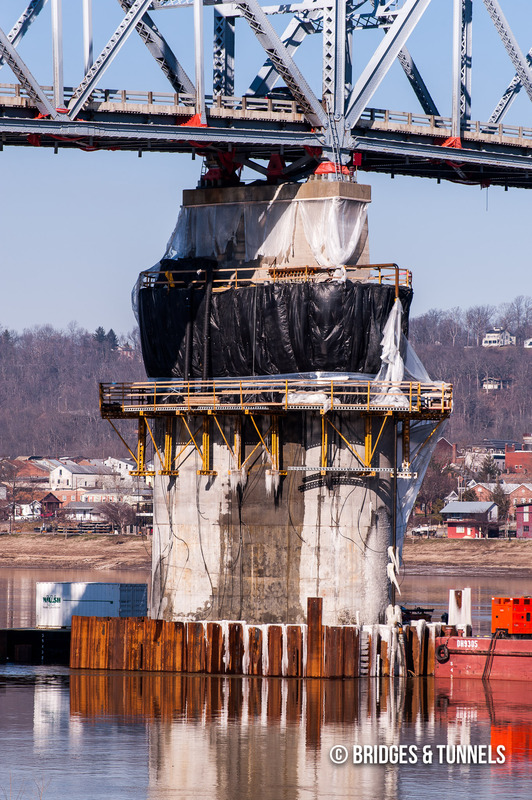 “Construction.” Milton-Madison Bridge Project.” Michael Baker Jr. Article. “Raising Expectations.” Bridge Design & Engineering, 28 Aug. 2012. Sorenson, Tim, et al. 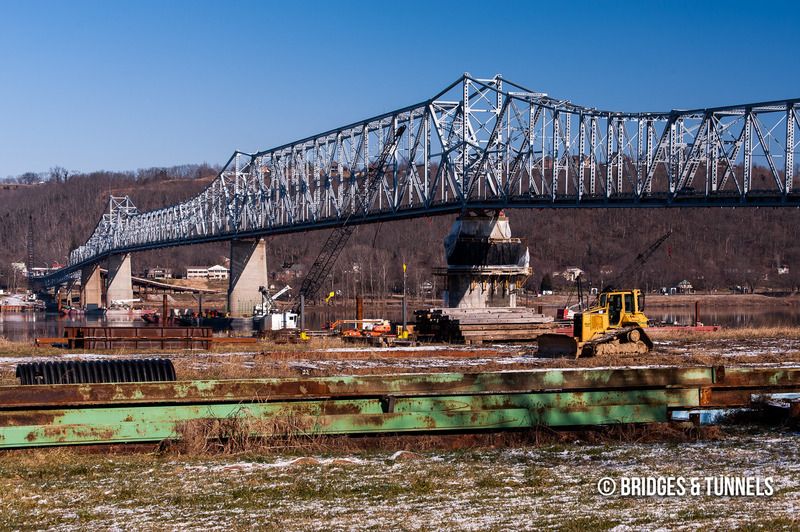 Milton-Madison Bridge Project. SASHTO Louisville 2011, 22 Aug. 2011. “Milton-Madison Bridge.” Walsh Group, 2016. 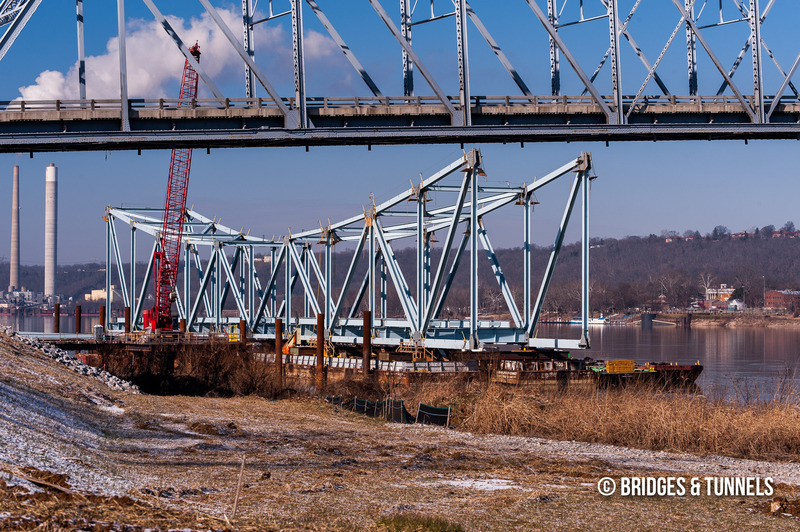 “Milton-Madison Bridge reopens to traffic.” WDRB, 18 Apr. 2014. 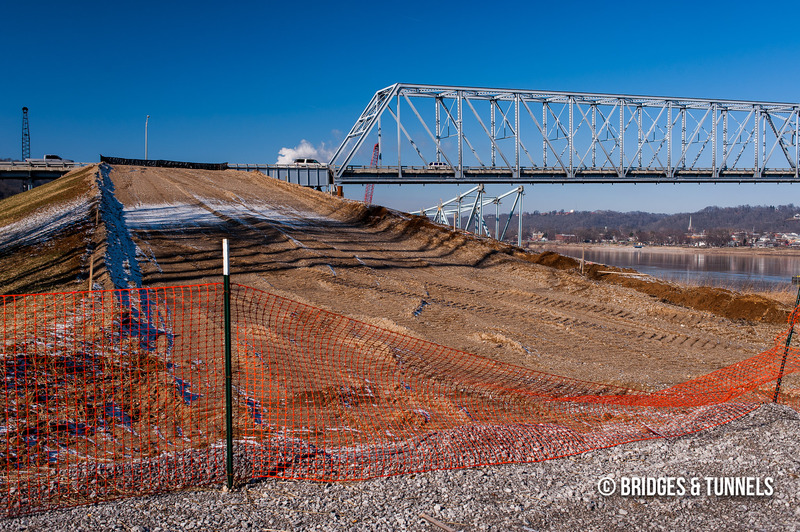 “Milton-Madison Bridge work completed.” Courier-Journal [Louisville], 9 Nov. 2015.